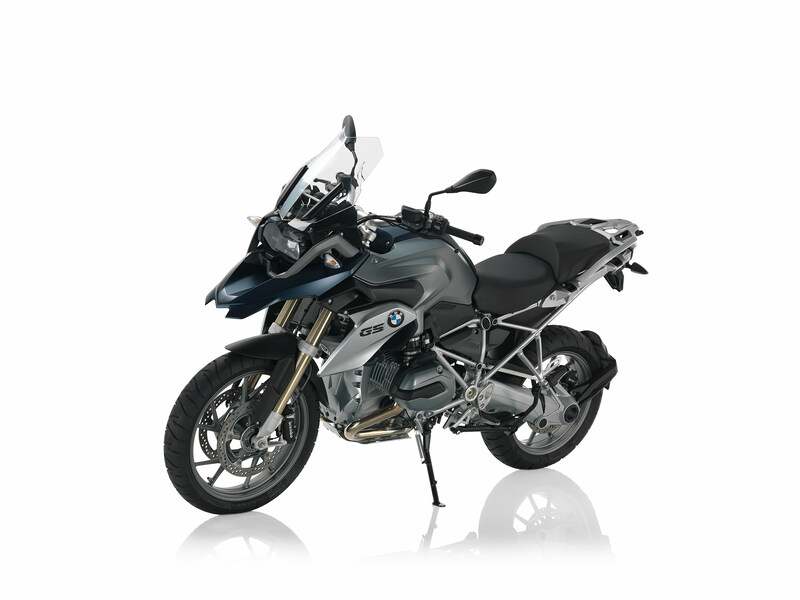 I had a 2017 BMW R1200GS in “Frozen Dark Blue Metallic” on order with a variety of gizmos including BMW’s Navigator V GPS system, keyless ride, and the Akrapovic exhaust (admittedly a silly expense, but a great deal of fun). Being only 172cm tall, I was getting the bike lowered to better fit my height. I hear other people my height ride the stock bike but during my demo rides I was tiptoeing at stop signs and red lights, a recipe for busted plastics. Plot twist: My dealer contacted me to say they had a 2016 model available thanks to another buyer who backed out of the deal. Still in its crate, same colour, all the factory options including the ones I wasn’t planning to buy (spoked wheels, quickshifter), factory lowered, and it can be ready for me in a week or two. I earned my motorcycle license in the Fall of 2011. I also bought my first and, until now, only motorcycle at the same time: a previously enjoyed 2006 Yamaha FZ6 sport touring bike in blazingly fast red. The previous owner(s) didn’t do much with it, there being only 9,030kms on it at the time of purchase. Since then I’ve added about 40,000kms to the odo. 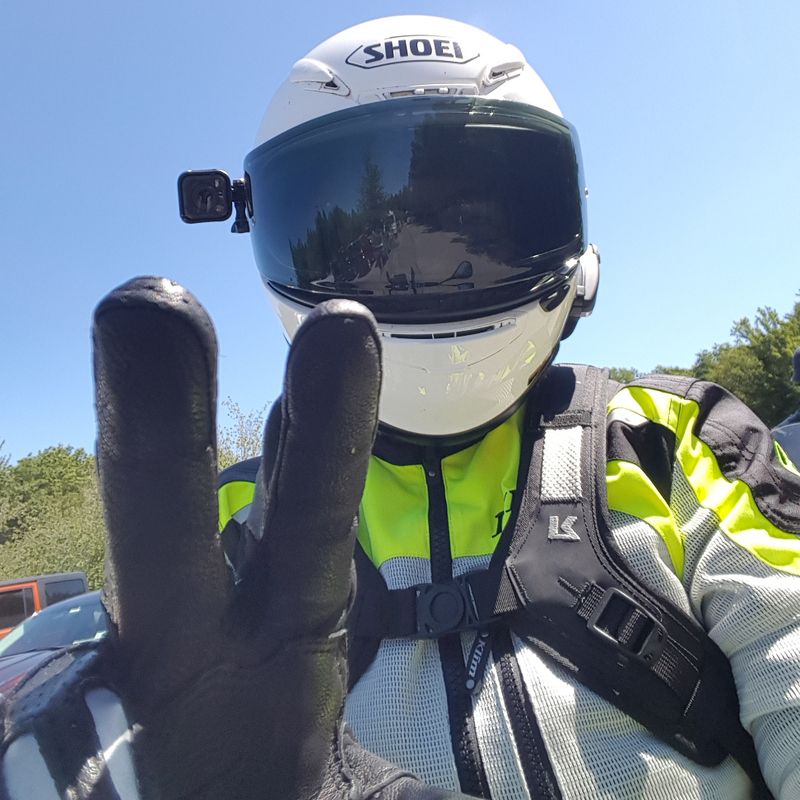 I commute to work by motorcycle most days from March until well into December, do occasional joy rides on the weekends, and I love long distance motorcycle touring. I even rode that beast to Charlottetown and back. The FZ6 is a blast to ride and I love it now as much, and possibly even more, than ever. However, while it is a sport touring rig, it lacks certain creature comforts for the long road, like cruise control and power outlets. And the slightly forward riding position is just not conducive to long distance riding, unless maybe you’re 22 years old. Which I am not. The after-market saddle I bought is good for 1.5 to 2 hours at a time. Not bad, but 2+ hours would be better. Some of the missing features on the FZ6 can be added (power, heated grips) but I want to upgrade to something with modern technology and touring features as stock. I was able to ride a Tiger 800 demo bike for a good 5 hours and it is just fantastic. If you like that style of bike, you’d be hard pressed to find something else that offers everything the 800 XRT offers. It is a blast to ride and has both cruise control and heated seats, the later being a first in mid-sized bikes as far as I know. I had looked at Yamaha’s FJ-09 as well, but it lacks cruise control, which is a deal breaker for me. I suspect Yamaha will add cruise for 2017 (it is on the new for 2017 FZ-10) but no matter, as I have already decided to go with a heavyweight bike. One nice feature of the FJ-09 over the Tiger: adjustable suspension. Why Triumph did not include the adjustable WP suspension on the XR road oriented models of the 800, when it is included in the XC off-road oriented models, is beyond me. My experiences with the FZ6 have made me somewhat of a Yamaha fanboi. I really want to love the FJR. It is drop-dead gorgeous, and a fantastic ride by all accounts (I haven’t ridden it myself). But it is old. The basic platform was introduced in 2001. Yamaha has made incremental changes to the bike over the years, including some very cool changes to the gearbox for 2016, but it still shows its age in features like the very basic ride mode technology. If Yamaha gave the FJR a full reboot, I would be giving it a good deal more attention. I took advantage of BMW’s demo roadshow on multiple occasions this year to ride the K1600GT, the R1200RT (twice), and the R1200GS (twice). The K was great, but just too much power for my liking. It’s a race bike in full touring rig. Honestly, it’s a bit alarming, at least for this less experienced rider! Most recently I rode the RT and the GS back to back, and without any doubt I found the GS to be both more comfortable and more rideable for me. I had some specific issues with the RT. The front end seemed to waver at low speeds (30 - 50kph). I don’t remember that happening the first time I rode the RT, but it was a consistent issue the second time around. And there is a decent amount of vibration in handlebars at 4500 - 5000RPM, which is a rev range you frequently find yourself in on the highway. The GS had neither of these problems. Its only issue is its height. It is super-tall in its stock setup, and I am not! I did the demo rides with the low seat and that was manageable, but I am going with the lowering kit option which will allow me to use the low or regular seat. The low seat will be good for stop-and-go commuter traffic, while the regular height seat will provide extra comfort on long trips. Mind you, I found the low seat to be very comfortable in the first place. There is one very annoying issue with all the BMWs: The switch gear on the handlebars has little to no tactile feedback, in particular the turn signal switch. With gloves on you cannot feel the switch moving and there is no affirative ‘click’ when the signal is engaged. You actually have to look at your hand to see if you are pushing the switch properly, or actively check the display to confirm the signal is on. I’ve played with the switch gear on almost every BMW bike model and they are all the same. It is more than a little ridiculous that BMW would mess something like that up. Unfortunately Triumph does not offer any sort of demo program for the Explorer in Canada. While I am sure the Explorer is a very good bike (generally very positive reviews all around) and despite a strong personal affinity for the Triumph brand, not to mention 3-cylinder engines, the inability to demo the bike was a major factor in my decision to go with the BMW. I was actually considering footing the bill for a flight to London, as there is a Triumph dealer just north of London where I could have tested the bike. A worthwhile investment considering the machine costs about $30K CAD. Triumph USA didn’t much care about my story, telling me they “gave up the demo trucks in 2006”, downloading responsibility for demos to the dealers and that I should “contact [my] local Triumph dealer”. I’m guessing sales isn’t particularly high on Triumph’s agenda on this side of the pond? Would you be inclined to buy a ~$30,000 motorcycle without riding it first?